LA DJ Technology, sound system, and performance. Over the past decade new sound systems have gained a higher sound volume, clearer highly, ground shaking lows, and perfect mids. 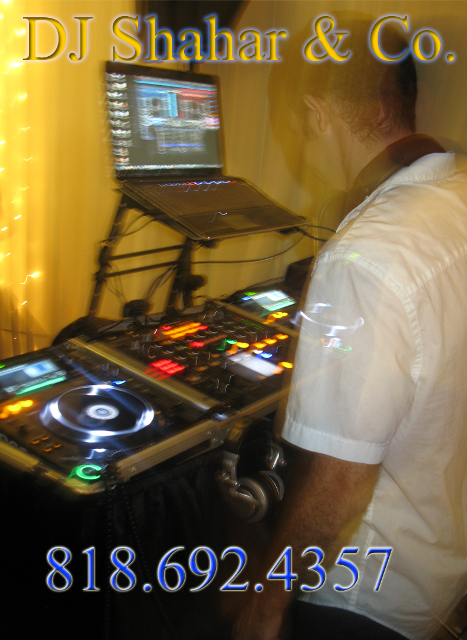 These new advancements allow DJ's to provide clients with louder speakers with out compromising audio quality thus making their events more energetic and more fun. We choose to bring speakers manufactured by JBL because they are also designed to be weight friendly. So, carrying them, loading them, and raising them is easier. The same story goes with speakers amplifiers. While we have speakers that have amplifiers built in, we also have other speakers that require an amplifier. For amplifiers we choose to go with Crown. JBL also incorporates Crown amplifiers within their speakers for superb sound quality. Keeping up with new technology in the DJ control area can be quiet expensive but also very efficient. American Audio, AutoMix, Native Instrument, Pioneer DJ, American DJ, Hercules and Denon DJ have all drastically improved the way we control tracks. Everything from looping, to beat matching, to beat juggling, and back to scratching are performed with perfection to the 1/100 of a second: 1 frame. Audio manipulation thanks to advancement in DJ mixing is now bringing the DJ Mixer to a whole new level. Our very own Pioneer DJM 2000 has 3 layers of audio fx. each of which has it's own list of effects each of which has it's own dedicated level adjustment. The big thing about this mixer is it's ability to add an audio fx to an audio fx to an audio fx to an audio track. Just keeping up with the example is advanced enough. Try hearing it at one of our performances. In the old days, there were Vinyl records. Then audio tapes came out. Then CD's came out. And now, we finally have it: MP3 files. Instead of finding the store that has the vinyl with the audio track we are looking for, we simply search for the audio track on the internet and acquire it with in seconds. This method is especially useful when performing at an event. The technology allows us to acquire music from various websites and various devices such as YouTube, Flash sites, iPhones, iPads, Tablets, cell phones, etc. If you can find it, we can acquire it.